Sterling Ball is the president and CEO of Ernie Ball, one of the largest and most historically important manufacturers of guitar strings and related equipment, Founded by Sterling’s father, the eponymous Ernie Ball. But it’s Sterling’s hobby that got him to practice Youtility – marketing so useful, people would pay for it. 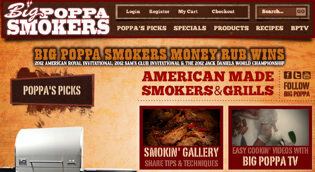 Using his e-commerce, marketing, and distribution experiences honed in the music business, he founded BigPoppaSmokers.com, a website selling barbecue smokers and accessories. Beyond selling the high-ticket hardware, Sterling (whose nickname is, of course, “Big Poppa”) sells sauces, spice rubs, gadgets, and even fine meats . . . all of it online. 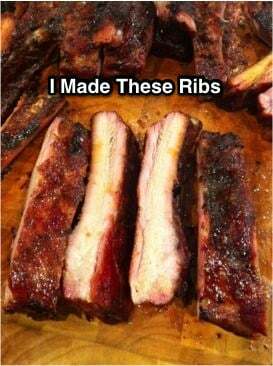 I am a barbeque hobbyist—a card-carrying member of the Kansas City Barbeque Society and a certified barbecue judge. That’s how I met Sterling. I purchased a pellet smoker from his website last year. Pellet smokers are a type of smoker that use small wooden pellets made from compressed sawdust as their fuel source, rather than the sticks and logs used in classic smokers. It makes the cooking more reliable and idiot-proof, perfect for the attention-deficient novice like myself. Sterling is not just a merchant, he’s an expert, and is currently sitting on top of the barbecue world after winning the American Royal Invitational contest last fall; the World Series of meat smoking. Thus, as it turns out, I learned to cook barbecue from the very best. I didn’t learn directly, rather I learned because I spent an enormous amount of time reading PelletSmoking.com, Sterling’s companion website. PelletSmoking.com is a throwback. It’s not a blog or a Facebook page or a YouTube channel. It’s just an online discussion forum where people who own – or are considering purchasing – pellet smokers congregate to swap tips, photos, advice, and tall tales. Presently, there are 6,135 discussion threads, 68,195 posts, and 3,085 registered members of the site. And just about all of those people buy their gear from Big Poppa, because he supplies the information they need, for free, with no strings attached. But there are other places to get this kind of customer insight too, and smart marketers like Sterling combine 1-1 insight generation with data analysis. A variety of free tools from Google can help you understand customer needs, based on what people are looking for, and when. Google Trends, for example, enables you to compare search volume patterns across location and time frame, and provides related search terms and comparative volume for them. 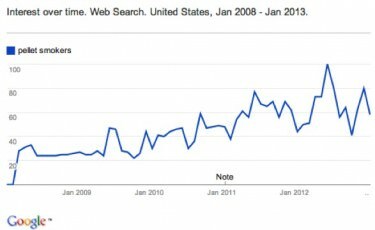 For example, an analysis of “pellet smokers” on Google Trends shows a sharp spike in searches for that term in the United States from 2008 onward. Digging deeper, Google Trends shows that Texas and California have disproportionate high incidences of search volume for “pellet smokers,” and that “pellet grills smokers” and “Traeger smokers” (a popular brand) are related queries used by searchers. Google Correlate is essentially Google Trends in reverse. It allows you to research a term and see what other searches were being performed with similar volume at a similar point in time, or in the same regions in the USA. It’s outstanding for uncovering seasonal and location-specific inquiry patterns. For example, Google Correlate shows that the search term “pellet smokers” has a .8947 correlation with the search term “big twelve basketball standings” across the entire country, but the correlation in Kansas (where two of the Big Twelve members’ universities are located) has a correlation of 4.814. If Big Poppa Smokers wants to find a way to provide exceptionally useful marketing for its customers in Kansas (and throughout the Big Twelve region), a program that sends text messages with instant basketball score updates might make for a successful implementation. You can be useful. You can create marketing so valuable, people would pay for it. So why aren’t you?